According to a lot of different sources, last week was an amazing week for young people in the U.S. Wiretap and the League of Young Voters both reported that according to CIRCLE, 13 percent of eligible Iowans under the age of 30 participated in the Iowa caucuses. 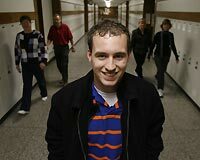 Researchers report that the youth turnout rate rose to 13 percent from 4 percent in 2004 and 3 percent in 2000, as about 65,000 Iowans under the age of 30 caucused. These types of stories do a wonderful job of sensationalizing the present. Reporters and statistics downplay the significance of anything that’s ever happened before by hyping everything that is happening and now, because frankly, that’s news. But what does that do to the past? A few weeks ago I sat down with Ben Quinto in Manhattan. Ben is the founder and E.D. of Global Youth Action Network, and his brain occupies some of the same spaces as mine, particularly around movement-building and strategic thinking. We had a great conversation about a lot of things, but maybe the most exciting was something he and I had no part of. Ben and I got talking about the past, as far back as 80 years ago, and had a great conversation about the history of “youth power,” for the lack of a better phrase. We have both discovered some of what I think as hidden or silenced histories of young people. It turns out that none of the current momentum behind engaging youth is a new thing: Mother Jones led 10,000 children on a march against child labor in 1903. Oh yeah – they were mostly under the age of 10, and they were all child laborers in Pennsylvania’s coal mines. And in 1936 more than 1,000 youth rallied together to present the American Youth Bill of Rights in the U.S. Congress. So Ben and I talked about how this idea of engaging young people around the issues that matter most to young people is nothing new. The differences between now and then are significant. Technology has drawn together so many different perspectives in so many different ways, especially in the form of connectivity: Never before has it been so easy for youth from across the country to rally together to stop a local curfew law from being enacted. But never before have we had the chance to learn so much from history. I know that there have been several books published specifically about youth activism, dating from at least 1967. But books don’t cut it. We need trainings that are reaching deep into the youth activist community, workshops that are educating the ongoing leadership structures, and dialogues that cut across race and class in order to identify, share and build upon what and who has come before. As Ben and I talked about, that’s the only way to successfully grow this thing forward into the future – by acknowledging what’s come before and what we should not repeat again, as well as what we should. We’re getting together again this week to continue our conversation – look for more later! I don’t know who the youngest mayor ever was. In 1885 the mayor of Van Buren, Arkansas was thought to be the youngest in America at the age of 21. During a fight over a prostitute with another man, Mayor Alexander Aaron was cut with a razor, and consequently shot his attacker. (NYT .pdf) In 1972 Jody Smith was elected mayor of Ayrshire, Iowa, a town of 202 in the north-central part of the state. His election was cool, and he was only 19. But in elections across the U.S. last week the country saw a slew of action from the outskirts of the youth rights movement: A variety of candidates from across the country drew national attention, and if leveraged right, they could draw attention to the efforts of activists working for civic engagement, youth rights and intergenerational equity. Michael Sessions turned eighteen in September, and ran a write-in campaign in his hometown of Hillsdale, Michigan. Beating a 51-year-old incumbent, Sessions ran as an anti-establishment candidate in a town of 8,000+ and won the support of the town’s symbolically powerful firefighter’s union. A recent USA Today article also reported that Jeffrey Dunkel was one month shy of 19 when he was sworn in as mayor of tiny Mount Carbon, Pennsylvania in January 2002. He was reelected this week. Chris Portman was 19 at his inauguration in Mercer, Pennsylvania was originally elected the same month. Portman resigned before the end of his first term after it was alleged that he was too immature for the position. He routinely rode around in police cars with officers and had an MTV camera crew follow him extensively. A little digging shows that Luke Ravenstahl is the youngest mayor of any major American city today. After becoming mayor of Pittsburgh in September 2006, Ravenstahl began his political career at 23, right after graduating college. As a city council member, Ravenstahl was elected Council President in 2003, and then was appointed mayor in 2005 after the previous mayor died in office. By defeating a Republican challenger in 2006 he ensured his office until 2010. Christopher Seeley of Linesville, Pennsylvania and Sam Juhl of Roland, Iowa are two other eighteen-year-olds who were elected mayor last week, as well. Things aren’t all rosey for young people in politics. The campaign for Brett McClafferty to become mayor of Streetsboro, Ohio must have pissed off the right people. Right after his near-loss campaign to get on the ballot, the city council raised the minimum age for candidates to be 23-years-old. I just created this List of the youngest mayors in the United States on Wikipedia. CommonAction staff is available to train on Youth Engagement and much more. Contact me to talk about the possibilities by emailing adam@commonaction.org or calling (360)489-9680.